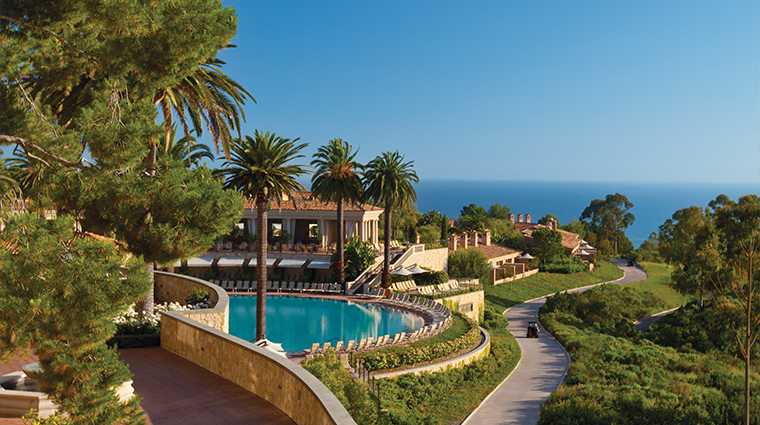 The Resort at Pelican Hill is an Italian-inspired oasis of tranquility and beauty located on the Newport coast of California. 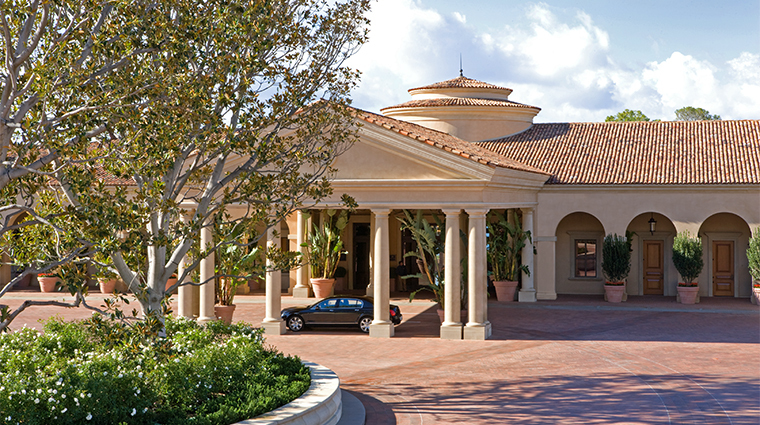 This resort has a real residential feel, as though you’re living in a small Tuscan town set down in the middle of California, and the spacious and tastefully decorated rooms ensure comfort all the way. 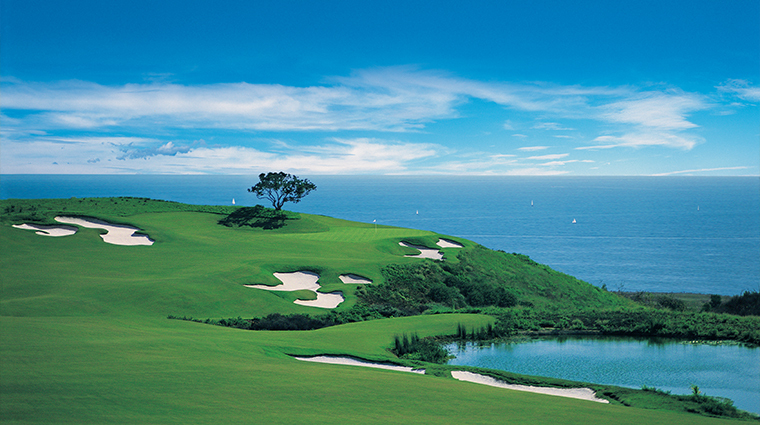 The majestic 36 holes designed by Tom Fazio, with their stunning views of both the Five-Star resort and the Pacific Ocean, are true gems. 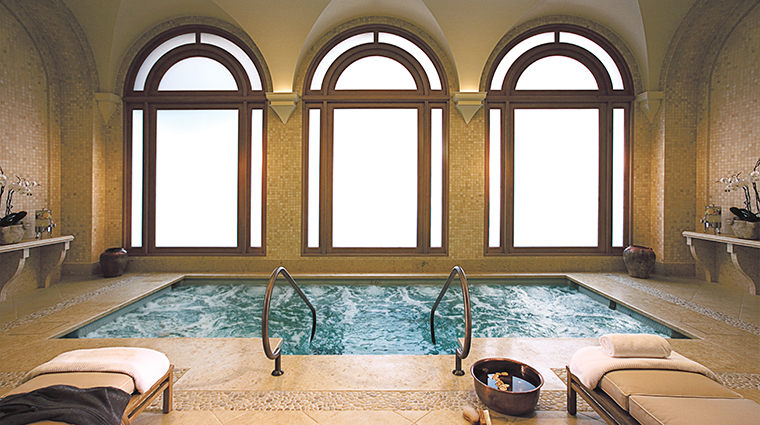 However, if golf isn’t your game, you’ll surely be won over by the Five-Star spa, where you can indulge in relaxing or simply decompress in the heated Coliseum pool (one of the largest circular pools in the world) overlooking the coast and verdant resort grounds. 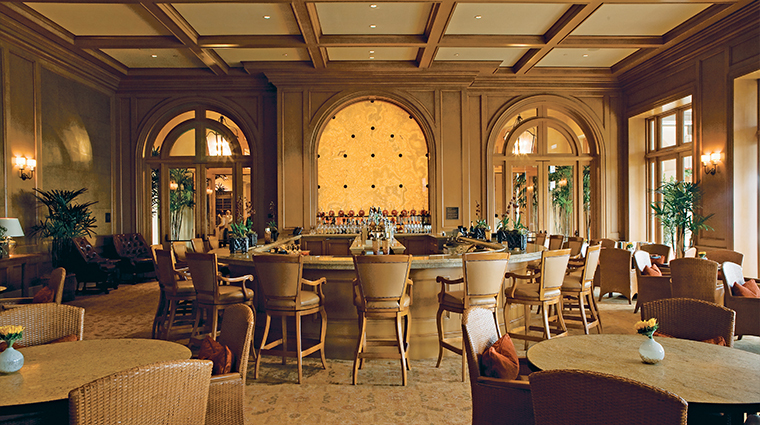 The hotel’s Italian influence extends to its dining options, but if you’re looking for California-inspired cuisine, then head to Pelican Grill for sizzling steaks or Coliseum Pool & Grill for light sandwiches and snacks. 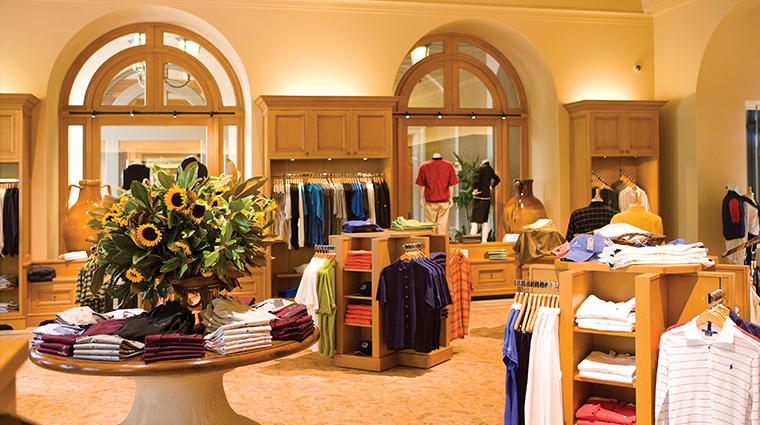 If you’ve got a love of the links, you’ll be well rewarded here. 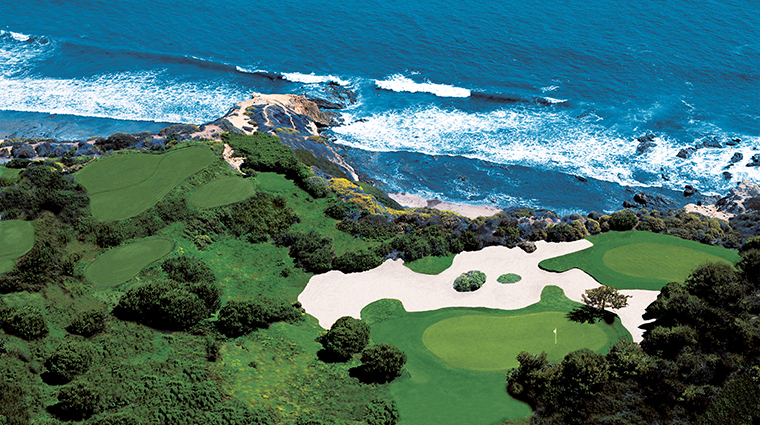 The resort boasts a magnificent course with sweeping ocean views and 36 holes designed by Tom Fazio. 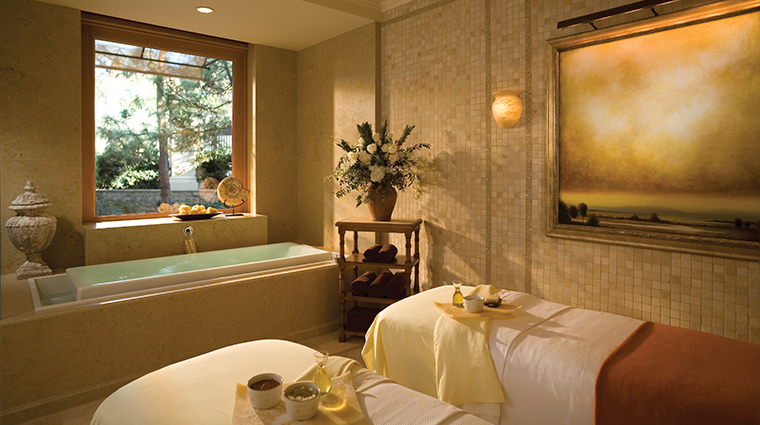 The Spa at Pelican Hill is an oasis of calm and relaxation, and you’ll definitely want to book a treatment like the California Sugar Glow scrub or Marine Rhapsody massage and wrap for instant bliss. 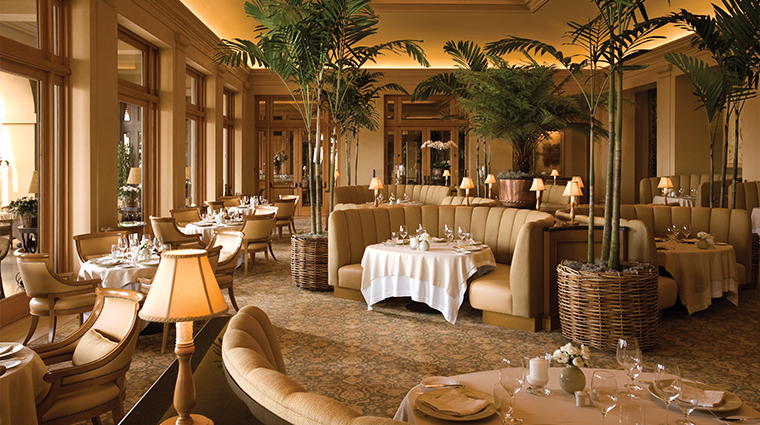 The Five-Star hotel’s signature Northern Italian Restaurant serves expertly prepared food, and notably great pastas like saffron tagliolini with king crab sauce and ricotta agnolotti with quail ragù. 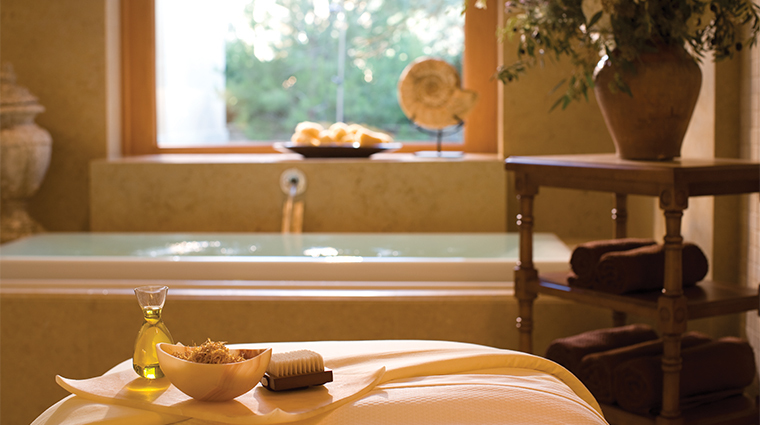 If you’re staying in one of the Orange County hotel's luxurious villas, you’ll have your own private staff to assist you with every need or whim, and they’ll even set up the villa ahead of time with all your favorite foods and movies. 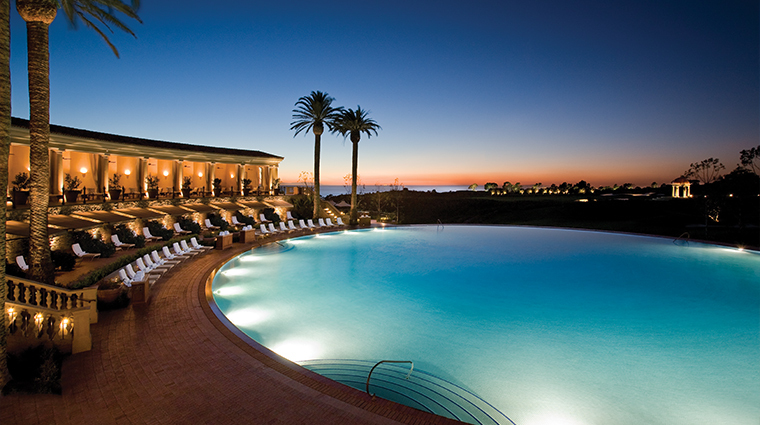 One of the largest circular swimming pools in the world, the heated Coliseum pool (and adjacent hot tub) offers stunning views of the golf course and coastline. The Orange County hotel is about a three-minute drive from nearby Crystal Cove Beach, but if you didn’t bring a car or don’t feel like making the 15-minute walk, hop on the house van that shuttles back and forth every 20 minutes. 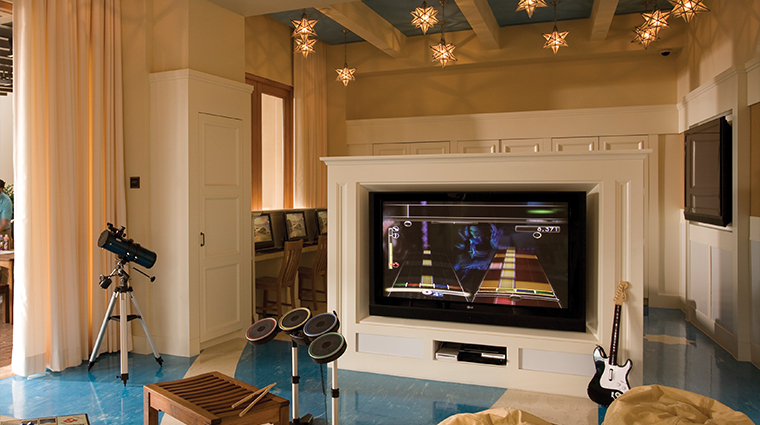 The California resort offers Latitude for Teens for kids ages 13 to 17, which offers paddleboarding and kayaking lessons, not to mention shopping excursions and evening parties. 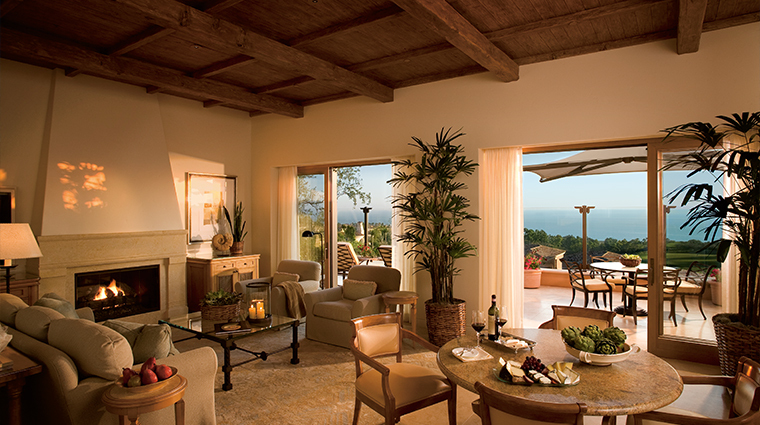 If you’re staying in a villa, The Resort at Pelican Hill will stock it with your favorite foods or set up child-sized robes for kids in tow, making sure that the hotel isn’t just a hotel, but your home away from home. 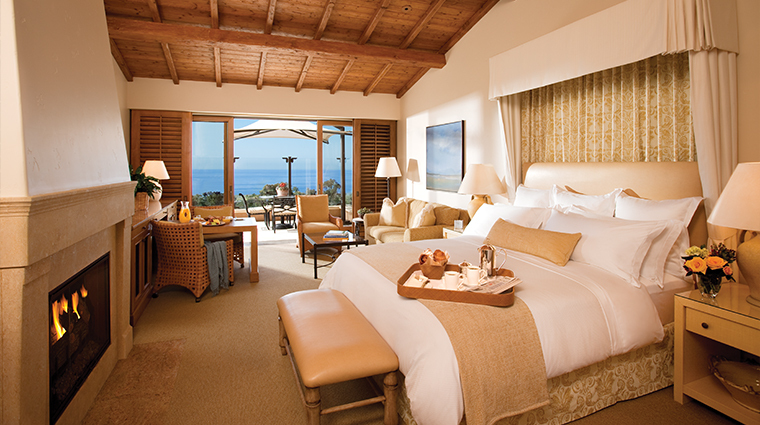 Unlike a traditional resort where you’ll find guest rooms in a large central complex, The Resort at Pelican Hill is made up of airy bungalows and two-, three- and four-bedroom villas spread throughout the lush grounds on cul-de-sacs named after Italian cities. 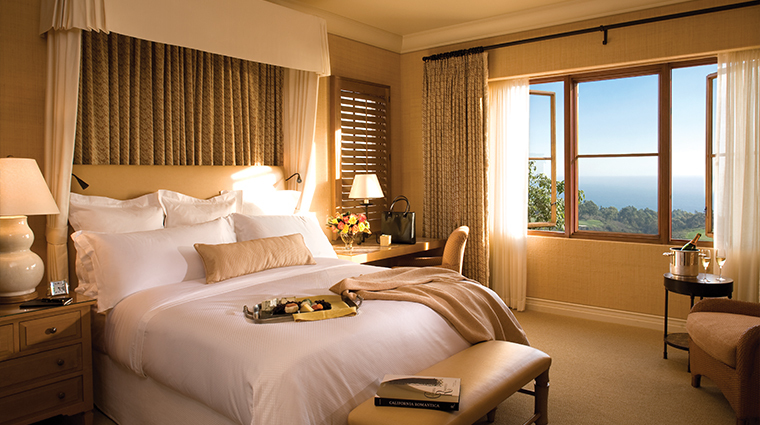 Inspired by Renaissance architect Andrea Palladio, the guest rooms combine Italian luxury with California comfort, using a neutral color palette accented with pale brown and light wood furniture. 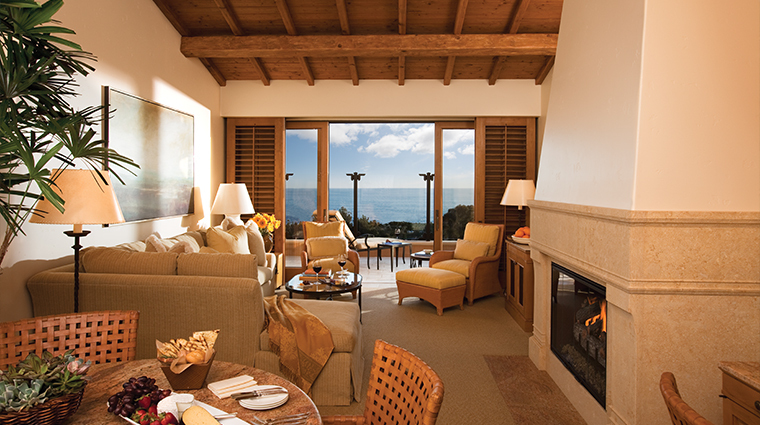 Standard bungalows at the Orange County hotel are a spacious 800 square feet, and feature elegant limestone fireplaces and spacious outdoor terraces perfect for rest and relaxation. 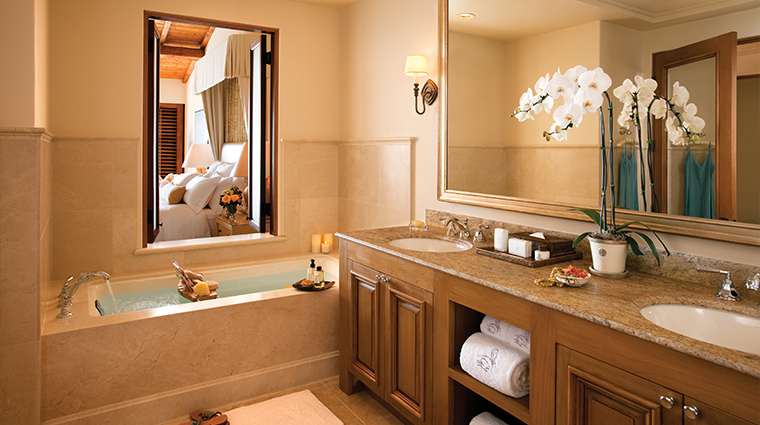 The bathrooms at The Resort at Pelican Hill are stately and spacious with deep soaking tubs, marble walk-in showers and separate water closets. Open for lunch and dinner, Andrea is known for its house-made pasta, which is crafted in a temperature-controlled room and includes everything from classic spaghetti and rigatoni to indulgent pumpkin ravioli and Baccalà gnocchi. Be sure to save room for dessert: Andrea serves homemade, hand-churned gelato. 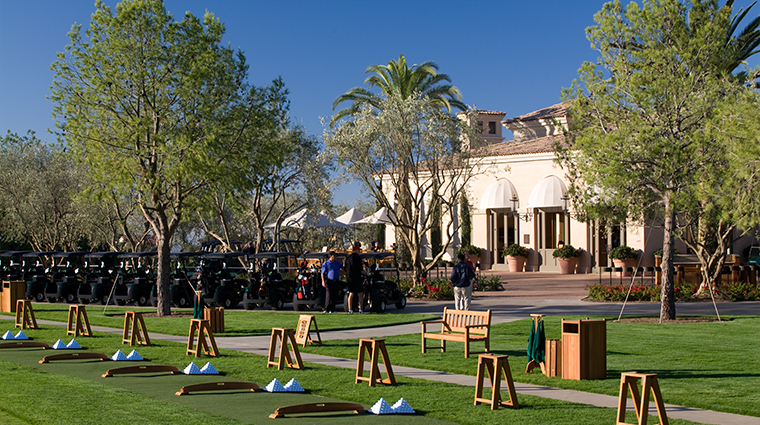 The Pelican Grill serves classic California cuisine at the luxury hotel's golf club. Order up a wood oven-fired pizza or fig and prosciutto salad and watch the chefs prepare your meal in the open kitchen. 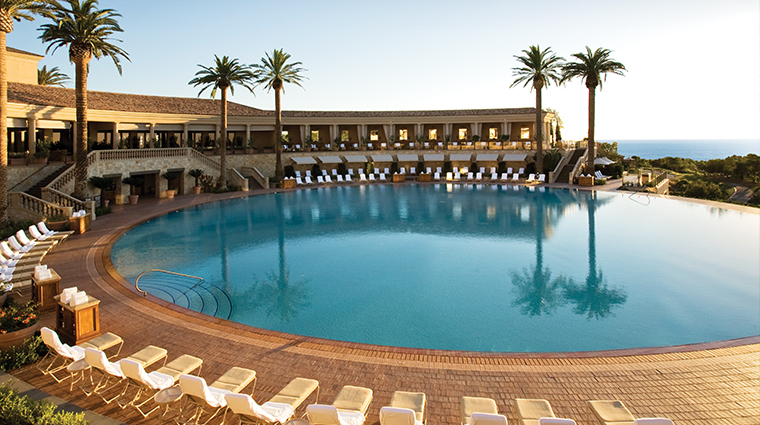 The Coliseum Pool & Grill offers casual poolside dining with American staples such as pizza, burgers, sandwiches and salads. 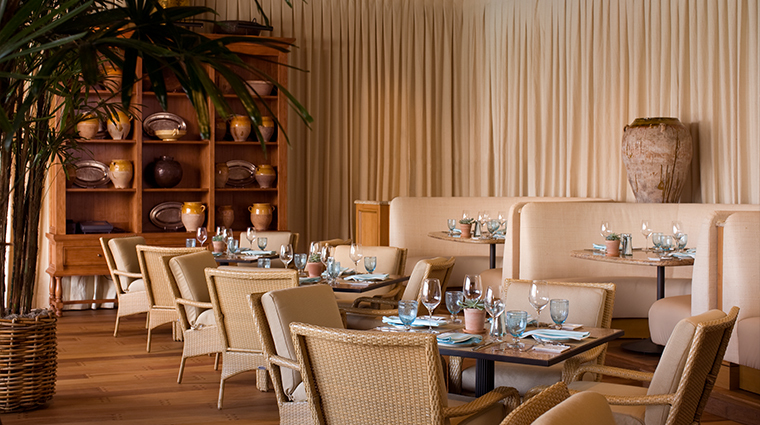 Open for breakfast, lunch and dinner, the restaurant has a kids’ menu, so it’s great for family dining.